Those living with Alzheimer’s and other cognitive impairments provide encouragement to others. 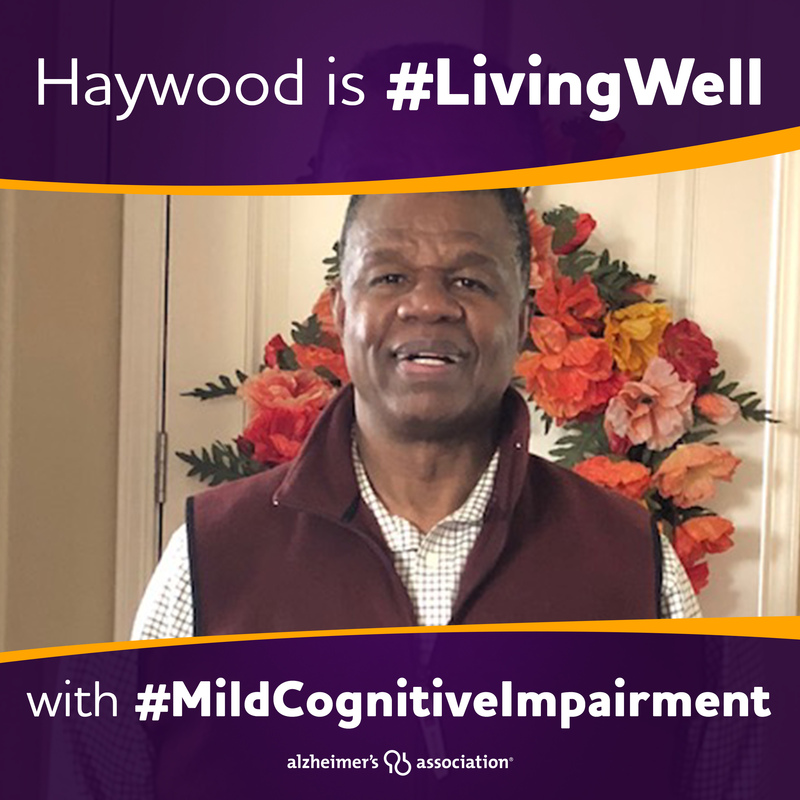 Many individuals living with Alzheimer’s disease and other cognitive impairments find ways to live well after their diagnosis. Pam Montana, one of our volunteers who is living with younger-onset Alzheimer’s, suggested that we start a campaign. 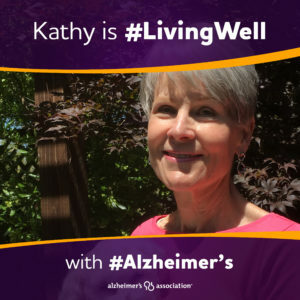 She encouraged us to show how people are living with Alzheimer’s. Since June is Alzheimer’s & Brain Awareness Month, it seemed like the perfect time to launch the campaign. Throughout this month (and beyond), we will share suggestions and tips from Pam and others in our region who are #LivingWell. We will highlight those living with Alzheimer’s, other forms of dementia and mild cognitive impairment. We asked several individuals what advice they would give to someone who is concerned about their cognitive health or has recently been diagnosed with Alzheimer’s or another dementia. They provided great suggestions. Many of the individuals who provided comments for this piece also volunteer for the Alzheimer’s Association. 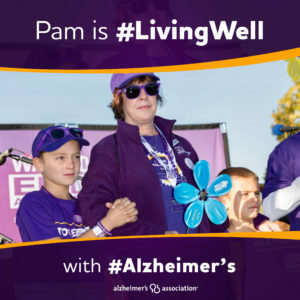 They share their story at the Walk to End Alzheimer’s and other events. They join advocacy teams and speak with their legislators. They write their own blogs or speak with reporters. 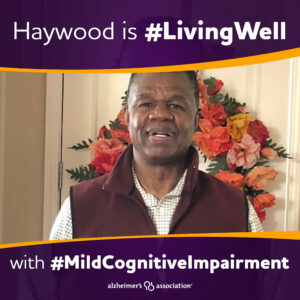 Check out our Facebook, Instagram and Twitter accounts to see the #LivingWell posts. We appreciate all who have shared their stories and tips for this project. We hope that you will share the posts so we can reach more people and reduce some of the stigma that still exists. 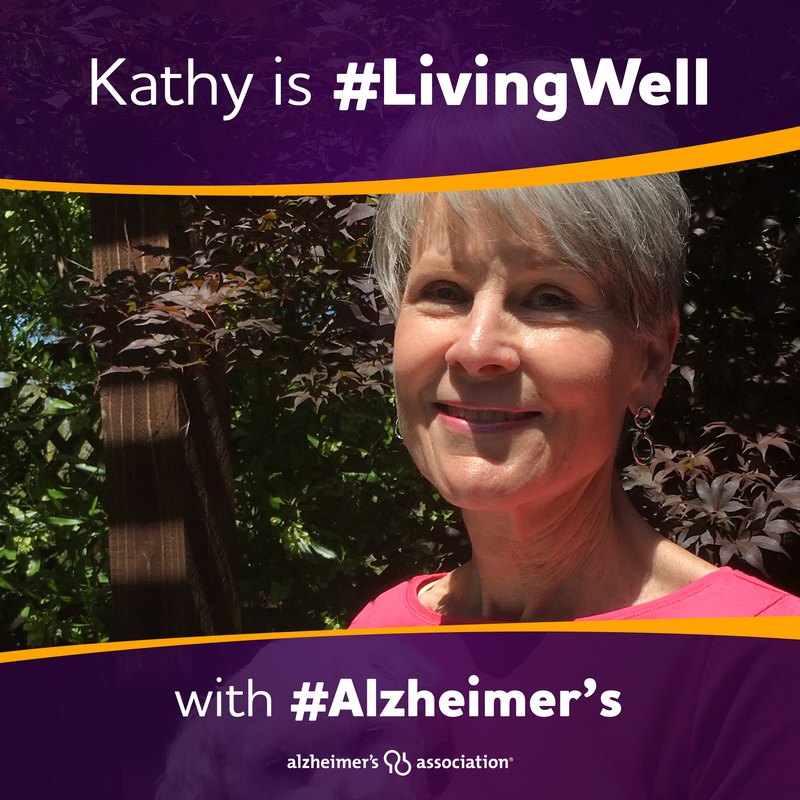 If you would like to participate in the project, you can submit your information at bit.ly/livingwellform or contact Michelle Johnston at mjohnston@alz.org.